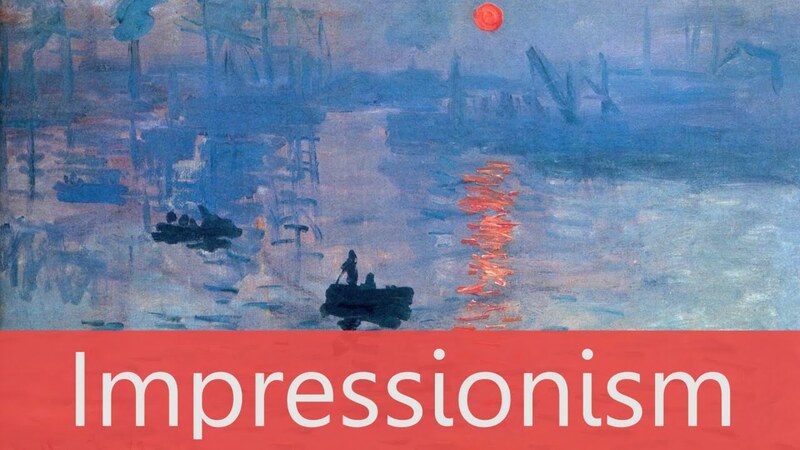 Experience the passion of Impressionist art. Green, violet, flowing pink. In lively, proliferating brushstrokes, light trembling foliage, zigzag reflections on the water, the wake of fishing boats and yawls. A dress, only seemingly green, gliding at the bend of a garden path: a zebra pattern of sunlight on the couples stretched out on the grass. A heightening of colors, almost of the very odors, in the sap-filled orchards. The noonday sun reigns over the summer, and the leaves are thick behind the table cleared of dishes. Nudes with opalescent flesh before the boundless sea. Couples dancing, the close of a meal, streets decked with flags, boulevards swarming with carriages and pedestrians, ballerinas in the glare of theatre spotlights, Sunday promenades on the islands of Seine – such are the themes of Impressionist art. “If one wants to characterise them with a single word that explains their efforts, one would have to create the term of Impressionists. They are Impressionists in the sense that they render not a landscape but the impression produced by a landscape”. Frustrated by the strict rules of composition and subject matter imposed by academic institutions, these artists decided to free themselves to pursue their own ideas and mount their own exhibition. This was the first independent group show of Impressionist art. Calling themselves Société anonyme, their impressionist art was considered shocking, unfinished and insulting. With its daring colour and quick brushstrokes, these revolutionary paintings were a radical departure from tradition. The Impressionists painted everyday scenes from the world we know rather than following traditional religious, historical or mythological subjects. They painted real life landscapes as they saw them and without idealization. They were not concerned with a meticulous finish and applied their paint with quick, spontaneous brushstrokes. In their attempts to capture the fleeting moment and the ways in which objects reflect or absorb light, Monet, Renoir, Manet, Pissarro and others have created a new and brilliantly vivacious world on canvas; they have also influenced the work of their friends, most notably Cézanne, Degas and Van Gogh. The Impressionists risked everything by breaking away from tradition. Against harsh criticism and negative reviews, they pursued a desire to create a fresh way of looking at things and a new kind of painting that reflected a modern way of life. Struggling against poverty and hostility, their perseverance paid off and they were rewarded with the recognition they deserved. This new, revolutionary movement changed the very nature of the way people think about art. Impressionism liberated other artists from the strict rules of composition, subject matter and technique and set them free to paint what they wanted and follow their own ideas and talents. The masterworks of the Impressionists have become the most widely loved and admired paintings of the past hundred years.